Technology rarely gives anyone a chance to catch their breath, and suddenly that is true of even the monitor market, a segment that saw a resurgence as display makers started pushing 4K panels. Before anyone exhale, Dell is already promoting an 8K resolution monitor (UP3218K). Dell isn't just showing this thing off, it's getting ready to sell its 8K monitor in a couple of months for $4,999. The pitch is that it's the first 32-inch monitor at that resolution (unless a company steps in at the last moment an beats Dell to market). Sharp previous announced an 27-inch IGZO monitor with an 8K resolution, but that's a smaller panel and it isn't for sale yet. That works out to over 33.2 million pixels of resolution with a 280 ppi. The panel also boasts 100 percent coverage of both the Adobe RGB and sRGB color spaces. Ergonomic adjustments include tilt, pivot, swivel, and height. Dell did not mention what type of panel it using here and there's no mention of HDR support, either. This panel is all about the pixels, and it has plenty of them—four times more than a 4K monitor. That's too taxing for gaming at this point, but there are other potential applications for an 8K display. "Monitors offering this extreme level of resolution and Dell PremierColor clarity and gradation are important in commercial fields where in-depth image zooming is critical—such as photo and video editing, medicine and diagnostic research, and oil and gas exploration—all among the early adopters of this technology. Plus its near borderless display gives customers 32 inches of screen real estate in a highly compact package," Dell says. 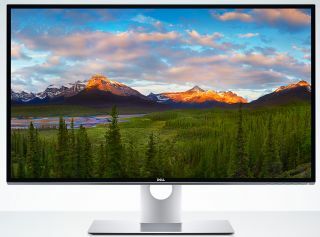 Dell will starting selling this monitor in March or April.